Opening weekend 2017 seemed to be here upon us just as fast as closing weekend of 2016 went away. One thing that never changes is the excitement of seeing old friends and the possibilities of making new ones from the new members coming to join our community. When I first joined three rivers after many seasons of being contacted by Hunter Z telling me all the reasons why I needed to be a part of this club, I finally pulled the trigger and joined. I had been a part of all different types of leases and duck clubs so I was somewhat skeptical. My main reason was to find a good environment for my son Chandler to be able to come and enjoy what was then and still is now his greatest passion, duck hunting. Right away I realized that all the reasons Hunter had told me about 3Rvrs was true in that it was a club with guys just like me who wanted to come and spend time with their sons and/or daughters and get the most out of the opportunity to duck hunt. 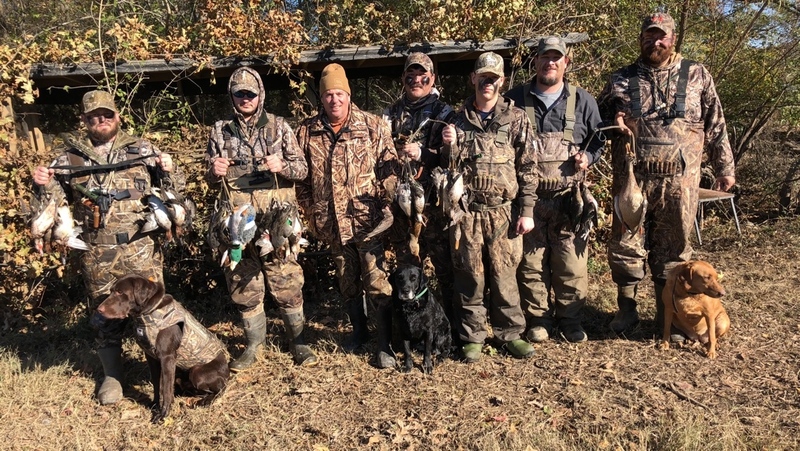 The Zieglers come from a family who wanted to enjoy duck hunting in a family way and though that sometimes gets lost in today's commotion, it still lives strongly in every father,son or daughter that steps onto 3Rver's property. For the new guys coming in to the club I hope your reasons for joining 3Rvers will sometime through this season be validated but while you are waiting for that to happen take notice that something better might take its place. My team this year consists of Doug Reynolds, Heath Nay, Clint Hackney and myself. 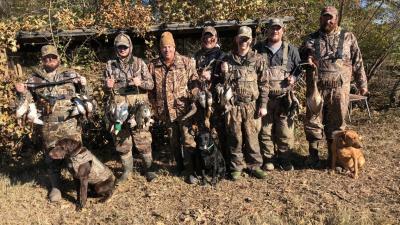 With Doug and Heath we are the oldest active club members at 3Rvers Duck club, Clint came on our team last year. We started out in different places, different teams but through the years have bonded into great friends and brothers with a common denominator, sons who love this sport. I get excited because each opening means I get to be with these brothers and by the closing of the season brings a sadness as we separate for the year. Just as much as I love these guys on my team, I thoroughly appreciate the guys that are becoming friends such as Curt and Zack Beavers, Tom and Marty Green/Cory too. New but old friend coming back Mitchell Hanson who was always been a great asset to the club. I cannot say enough of how much Brian's (Beefy) friendship has meant to me through these years as well as Dayton and Hunter (Nay) 'the boys"too. I've watched my son Chandler grow up from young boy to a young man in this club and I am so proud of him for his passion to the sport which he has given me more joy than he will ever know. So new guys I hope you will be blessed to get this much out of this club and find what you are looking to get out of it but along the way a lesson to be learned may be that what you put in to the club may come back to you ten fold in some great friends and relationships that will last a lifetime! Passion out.